KIEV, Ukraine -- Ukraine's government issued a raft of corruption allegations against the country's former prime minister Thursday—a move certain to step up tensions with her supporters who say the country's new president is creating an authoritarian state. In a new twist in Ukraine politics, the government of President Viktor Yanukovych has used Western expertise in leveling charges against his rivals. Investigators released a report researched and written by U.S. private detectives and attorneys who have lately been employed by the country's political elite to burnish its credentials. The report takes aim at officials who served under former Prime Minister Yulia Tymoshenko, a charismatic populist heroine of Ukraine's 2004 Orange Revolution who was defeated in elections at the beginning of the year and has since seen a number of allies arrested or investigated for corruption or mismanagement. 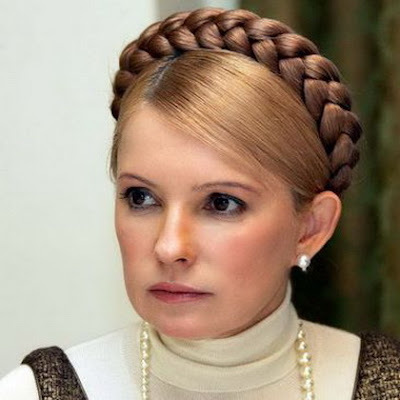 Ms. Tymoshenko, a longtime arch rival of Mr. Yanukovych, has called the investigations politically motivated. Political analysts said the latest attack on Ms. Tymoshenko may backfire, since voters in Ukraine have in the past viewed corruption allegations as a public-relations tactic used to destroy opponents. Ms. Tymoshenko's political career got a boost in the 1990s when she was briefly jailed on corruption charges that were later dropped. "This is not an attempt to fight corruption," said Oleh Rybachuk, a former chief of staff in Ukraine's presidential administration. "It is a strategy to destroy their lifelong opponent [Tymoshenko]. She's no angel, but this is a selective approach." Mr. Yanukovych's chief of staff, Serhiy Lyovochkin, denied any political motivation in the investigation, which has so far cost more than $2 million, and which officials say aims at retrieving stolen funds to state coffers. The firms that compiled the report—the law firms Akin Gump Strauss Hauer & Feld, and Trout Cacheris, and the investigative firm Kroll Inc.—worked for five months in London, Washington and Kiev on the report. The investigators deny their work is politically driven, and say they were retained to do research into genuine suspicions of unethical behavior. The investigators compiled 2,000 pages of exhibits to back up allegations, and two civil suits have already been filed in the U.S. and U.K. against companies that allegedly aided corrupt government officials in skimming public funds. While the report doesn't link Ms. Tymoshenko to any alleged theft, it does accuse some high-level officials around her. The report says Ms. Tymoshenko steered hundreds of millions of dollars of budget money to boost her popularity before presidential elections that swept her out of power this year, when she was defeated by Mr. Yanukovych, whose allies in Parliament then fired her as prime minister. Among the more serious charges, the report says Ms. Tymoshenko authorized the sale last year of about €320 million ($443 million) in carbon credits under the Kyoto Protocol framework, and used most of the proceeds to cover a shortfall in Ukraine's pension fund. Although some has been returned to segregate accounts earmarked for environmental projects as directed by the Kyoto agreement, about €200 million hasn't. The report also accused the Tymoshenko government of buying 1,000 imported vehicles for the Ministry of Health shortly before the elections, and using them mainly as a mobile advertising gimmick for her campaign. The report accuses Ms. Tymoshenko of diverting money from a state stabilization fund for banks and steering it into an unrelated program to provide funding for 6.4 million citizens to register and formally own their plots of land. Hryhoriy Nemyria, former deputy prime minister and a top adviser to Ms. Tymoshenko, declined to comment on specific allegations, saying he hadn't had a chance to review them. But he denied any widespread corruption in her government, and called the report a smear campaign conducted under the guise of a professional investigation. He noted that investigators looked only at the Tymoshenko government, without looking at Mr. Yanukovych's own role as prime minister from 2006 to 2007. "These American firms are being used by a government widely accused of backsliding on democracy in a smear campaign to help cement their rule," he said. The investigators said they necessarily limited the scope of their research to a few cases of concern to Ukrainian law enforcement and Finance Ministry officials. They said they hope the report will stand on its merits and the vast amount of credible evidence gathered. The report accuses officials in Ms. Tymoshenko's government of enriching themselves by acting as intermediaries in government purchases of vehicles, medical products, vaccines and 22,000 tons of sugar needed to replenish the country's supplies this year after they were sold off in the summer of 2009. Mark MacDougall, who headed the investigation for Akin Gump, said the investigation ranged far outside Ukraine to the state of Oregon, the U.K., Latvia, Israel and the Seychelles, where it found "the use of extensive classic offshore money laundering structures." Investigators said the findings give a rare glimpse into some of the methods of government graft in a country where allegations are plentiful but proof is usually scarce. They allege that the cases were part of a wider pattern of malfeasance in Ms. Tymoshenko's government, and that its profile of a half-dozen cases was part of an "effort to provide a survey or cross-section of suspect government transactions during the stated period of time." "From the start, our job has been to establish the facts," Mr. MacDougall said. "Every material finding in the report is backed by hard evidence." Kroll and Akin Gump have in recent years been retained by top businessmen and politicians in other high-profile matters in Ukraine. Kroll was in 2001 employed by a party backed by oligarch Viktor Pinchuk, son-in-law of Mr. Yanukovych's political patron, then-President Leonid Kuchma, to look into the killing of investigative journalist Georgiy Gongadze in 2000. Mr. Kuchma had allegedly been caught on a tape recorded by a bodyguard discussing with leading officials how to deal with the journalist. Although the U.S. government determined parts of the tape were authentic, Kroll produced a report maintaining Mr. Kuchma wasn't involved in Mr. Gongadze's killing. Though some lower-level security service officers were ultimately convicted in the killing, the planners never were.